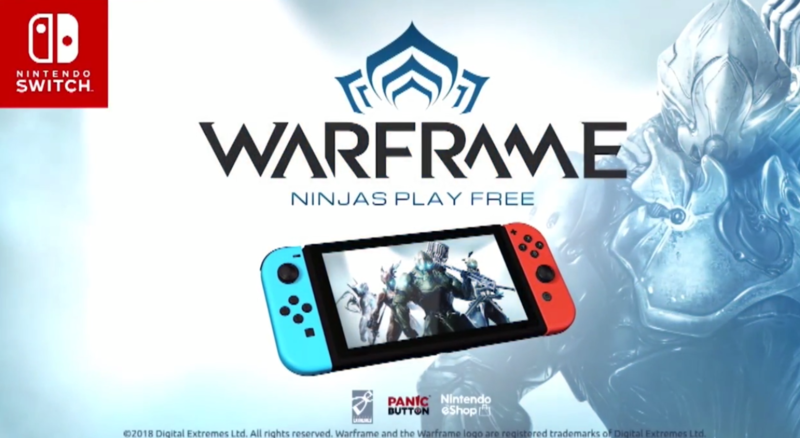 At this year’s TennoCon event, Canadian game studio Digital Extremes has announced Warframe Switch. The popular free-to-play third person online action title is being developed by the responsible for porting the Switch versions of both DOOM and Wolfenstein II: The New Colossus – Panic Button. The hit cooperative, sci-fi action game, Warframe, is coming to Nintendo Switch! They were called Tenno. Warriors of blade and gun – masters of the Warframe armor. Those that survived the Old War were left drifting among the ruins. Now they are needed once more. Warframe was officially announced back in 2012, and a closed beta released later that year. An open PC beta for the sci-fi shooter was launched in 2013 with a PS4 version of the game releasing alongside the console’s launch in November 2013. Digital Extremes also released the title for Microsoft’s Xbox One one year later. The game has received various expansions since its release in 2013, including the Plains of Eidolon expansion in 2017, and the The Sacrifice expansion last month. We’ll keep you updated as soon as we learn more about Warframe for the Nintendo Switch. Warframe for Nintendo Switch Review – The Best Free To Play Game Ever?